All drivers must hold the minimum car insurance coverage required by their state’s law in order to operate motor vehicles legally. Failure to have minimum car insurance can result in tickets, fines and even possible driver’s license and/or vehicle registration suspensions. The experts at Car-Registration.org have taken the time to define the 10 different types of auto insurance below. However, keep in mind that it is up to you, as the driver, to know your state’s limits and the types of optional coverage that best suit your needs and habits. Bodily Injury Liability – All U.S. states require drivers to have this type of coverage, which protects you when you are at fault in an accident that results in the injury of another person. Your bodily injury coverage takes care of expenses related to the other driver’s medical bills, any work time lost due to injury as well as pain and suffering. Property Damage Liability – All U.S. states also require property damage liability insurance in the event you damage someone else’s property due to your own at-fault accident. The team at Car-Registration.org encourages you to make sure to review your state’s minimums when purchasing property damage liability. Liability Coverage – This coverage, also required by all states, exists only to protect you when you are at fault in an accident. Your liability coverage frees you of liability regarding other drivers injured or other vehicles damaged by your actions. Liability insurance covers you when you are driving in both your own vehicle and someone else’s. Collision Coverage – If your car crashes into anything else, such as another vehicle or a building, collision coverage comes to your rescue. Under certain circumstances, environmental factors, like potholes in the road, can also kick your collision coverage into play if you experience vehicle damage. Collision insurance covers many of your vehicle’s repairs. 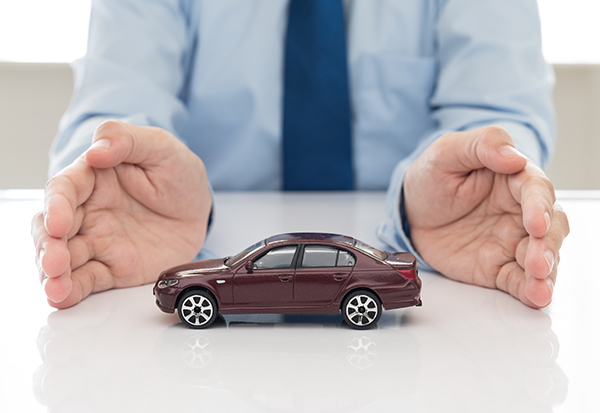 Comprehensive Coverage – As its name states, comprehensive coverage aids drivers with many different types of losses, including those unrelated to car accidents. Comprehensive coverage is what you will elect if you live in a state that is subject to natural disasters or natural disasters (Florida for hurricanes and Kansas for tornadoes, for instance). Comprehensive insurance covers damage due to hail, earthquakes, flooding and severe weather. In addition, comprehensive coverage takes care of damage if you hit an animal with your car. If your car is a total loss, comprehensive coverage will reimburse you for the value of your totaled vehicle. The experts at Car-Registration.org suggest this type of coverage if you are prone to accidents. Personal Injury Protection – Also known as Medical Payments Coverage in states like Maine and New Hampshire, PIP takes care of your personal bodily injury if you are hurt in an accident. In addition, PIP covers other passengers in your vehicle and any other drivers registered under your policy. In addition to Maine and New Hampshire, Florida, Hawaii, Minnesota, North Dakota and Oregon all require minimum personal injury protection coverage. Fire and Theft Coverage – This type of insurance will cover the related costs and provide benefits for vehicles stolen or damaged by fire. This coverage also overlaps a bit with collision coverage and may cover you if hit by an uninsured driver. Physical Damage Coverage – This is a blanket-type of coverage, which encompasses collision coverage, fire and theft coverage and comprehensive coverage. The team at Car-Registration.org suggests that those who own high-end cars always consider physical damage coverage to protect their vehicle investments. Underinsured and Uninsured Driver Coverage – These two types of coverage appy when you are involved in an accident where the other motorist is at fault and he or she has the minimum insurance, below the limit of coverage or no insurance at all. Underinsured and uninsured coverage options cover you when someone else’s insurance or lack thereof cannot. Some coverage benefits include rental cars, lost wages, property damage and medical expenses. Select states that require both of these types of coverage include Connecticut, Illinois, South Carolina, South Dakota and Vermont.